Bank Fraud Post - Big Banks Too Big To Serve? 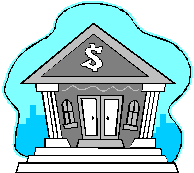 Bank Fraud Post – Big Banks Too Big To Serve? Earlier this week, regulators fined big banks, again. This time $4.3 billion against 6 big banks for trying to manipulate the $5 trillion daily currency exchange market known as forex. The banks fined in this latest round of enforcement actions are RBS (The Royal Bank of Scotland), UBS, HSBC, JPMorgan Chase, Citibank and our perennial favorite, Bank of America. Most Americans are now numb to bank fraud scandals, especially those involving the so-called Too Big to Fail banks. Although recent polls show that Americans have a slightly better opinion of banks in general (those opinion ratings remain in the basement, however), opinions about the largest banks aren’t improving. The most recent forex probe is one of many reasons why. The U.S. Justice Department and bank regulators believe that several big banks sought to manipulate the forex market. Although most Americans have never heard of forex or the global currency market, it dwarfs all other markets worldwide. As an example, the average volume of the New York Stock Exchange is $49 billion. Forex? $5.3 trillion. Because the market is so huge, a penny difference between two world currencies could net traders – and the banks that employ them – millions of dollars. Regulators say that just seconds before the daily market close, which sets the value of currencies, traders would conspire with one another to manipulate prices. The banks often made money for themselves but at the price of their customers. How did the manipulation take place? Through Internet chat rooms! The fines against the six banks were announced by the Commodity Futures Trading Commission, Office of the Comptroller of the Currency, the U.K.’s Financial Conduct Authority and the Swiss regulator, FINMA. A seventh bank, Barclays, has refused to settle and remains in negotiations. Deutsche Bank is also reportedly part of the forex bank fraud probe as well. On the U.S. side, Citi and JPMorgan Chase paid the largest fines, over $1 billion a piece, while Bank of America has only paid $250 million. Bank of America has not fully resolved the charges yet, however. In addition to the civil fines, the Justice Department is contemplating criminal bank fraud charges. So what did the banks have to say? According to USA Today, HSBC issued a statement saying it “does not tolerate improper conduct and will take whatever action is appropriate.” This, of course, is the same bank accused of laundering money for drug cartels and terrorist organizations. Bank of America reportedly had no comment. So why does such rampant bank fraud continue to occur? We agree. The biggest banks seem to routinely focus on profit, even if their actions hurt their own customers. In other words, they have simply become too big to serve and too big to care. We hope that prosecutors are able to bring criminal charges as part of the forex probe. At least then, these banks might still be too big to fail but their bankers would no longer be too big to jail. That is our two cents. Mahany & Ertl is a full service boutique law firm that brings bank fraud cases against banks and represents whistleblowers in federal False Claims Act and FIRREA cases. These laws allow whistleblowers to receive significant cash awards based on the amount collected by the government. We also take claims against mortgage companies, loan originators, special servicers and other in the financial services industry. We have successfully brought several, billion dollar cases to date. or by telephone at (414) 704-6731 (direct). All inquiries are kept confidential and protected by the attorney – client privilege.